Before Jack White was a rock star running Third Man Records on the side, he was a broke musician in Detroit running Third Man Upholstery on the side. "Your furniture&apos;s not dead," was the company&apos;s slogan. Today, Third Man Records&apos; slogan today is "Your turntable&apos;s not dead." Not much has changed, except that Jack White is now widely regarded as the savior of modern blues rock. As it turns out, he&apos;s also the savior of the modern rock &apos;n&apos; roll legend. Back in the day, White recorded one of his earliest singles with a band made up of him and his mentor Brian Muldoon, who taught White the upholstery trade. The band was called The Upholsters, and they released two singles. Their first, titled "Apple of My Eye," has been circulating the Internet for a while. But the other has remained hidden, often discussed but never heard. The rock &apos;n&apos; roll myth was that White had pressed 100 copies of the single and then hidden them in the furniture he was reupholstering. This week, we discovered that the myth was true. White&apos;s initial claim involved 100 pieces of furniture. He and Muldoon ripped open some couches and chairs, "sliced inside the foam and slid [it] in there. I mean, we really went to great lengths to make sure possibly no one would ever hear our record!" White told NPR in 2011. People doubted the story. The mythical armchair vinyl has remained one of rock &apos;n&apos; roll&apos;s strangest urban legends; many, including White&apos;s interviewer, doubted its truth. Yet this week, the truth came to light. Two people have finally come forward claiming to have found copies of The Upholsters&apos; second single. And Third Man Records confirmed it. 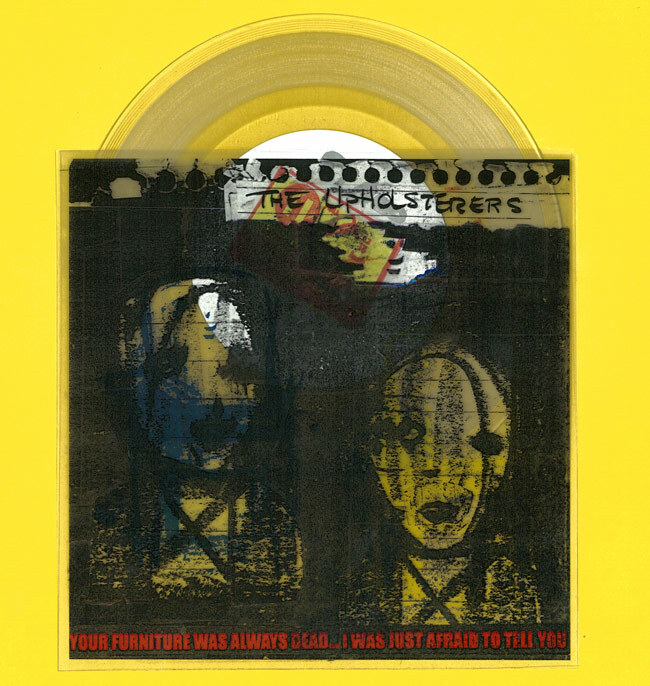 "Recently Third Man Records has been made aware of the discovery of two different copies found by two separate individuals of the second single by The Upholsterers," Third Man recently wrote on their site&apos;s news section. "In celebration of these discoveries, Third Man would like to share with everyone the cover art for this single, done by noted Detroit artist Gordon Newton." The record&apos;s title puns on Third Man Upholstery&apos;s slogan: "Your Furniture Was Always Dead. ... I Was Just Afraid to Tell You." The move is one of the most humorous examples of rock &apos;n&apos; roll badassery that the genre has ever known. It&apos;s right up there with Flaming Lips singer Wayne Coyne collecting blood from several celebrities to infuse into his vinyl or The Beatles adding high-pitched tones outside of the range of human hearing at the end of Sgt. Pepper&apos;s in order to drive dogs crazy. White used the distribution methods and tools available to him to get his music out to the world, forcing it into the homes of innocent upholstery customers. There are still 98 records out there, sitting in chairs scattered around the Detroit area. They could be worth a nice sum. Detroit residents with old arm chairs: Cue some of the angrier White Stripes records and tear your furniture apart. The rock &apos;n&apos; roll gods might just reward you.